A Booqify Qualified Tour. 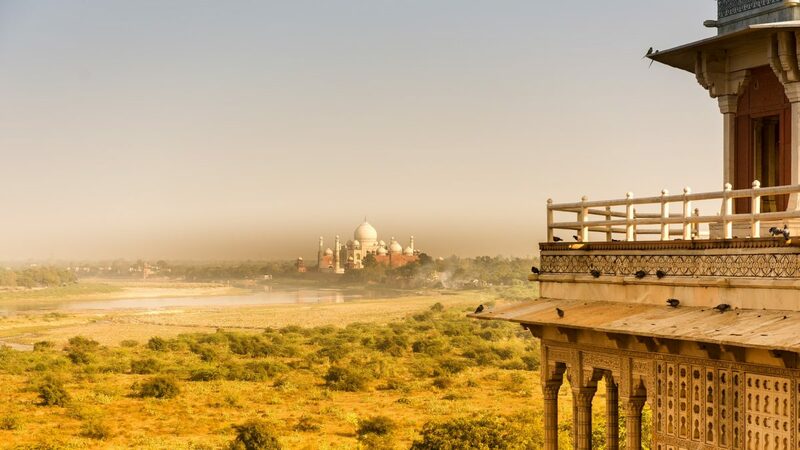 Experience a private guided all day tour from Delhi to the Taj Mahal by private car. Start from Delhi in the morning at a time and place of your choice. Enjoy the cultural heritage and landmarks of both cities. Start. Pickup from the airport or hotel at the time that suits you best. Hop inside your private car, Innova Crysta 7 seater car with ac, and be ready to get amazed. 1. Qutub Minar: Famous monument of Delhi Qutub Minar and 73 meter tall minaret. 2. Red Fort: Red fort in Delhi made by Mughal Emperor Shahjahan in red sandstone and in Marble. 3. Humayu Tomb: It is also a very beautiful place and UNESCO world heritage site. 4. Jantar Mantar: It consists of 13 architectural astronomy instruments. Most visited site in Delhi. 5. Birla Temple: It’s a temple of Hindu gods and goddesses. 6. 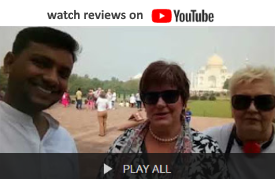 India Gate: A very beautiful and astonishing place to visit. 7. President’s House: Just opposite of India gate there is the Indian president’s house, it was built by the British. 8. Akshardham Temple: The most visited Temple of Delhi which also called Disney Land for kids. 9. Lotus Temple: Bahai faiths Temple got it’s name from its shape. Via Yamuna express way from Delhi we will come to Agra. We will cover it in 2.5-3 hours via this newly constructed highway. 1. Taj Mahal: One of the seven wonders of the world. It’s a Monument of love and finest example of love. 2. Agra Fort: Made of red sandstone from Rajasthan. 3. Itmad ud Daula (mini Taj) : First Monument in India where inlay work of semiprecious stones was done before Taj Mahal. 4. Sikandra: Sikandra is the tomb of Akbar. 5. Fateh pur Sikri: The capital of Akbar. 6. Mehtab Bagh: Gorgeous view of Taj Mahaly. 7. Show of Kalakriti. Where you can see the saga of Shahjahan and Mumtaz Mahal and biggest replica of Taj Mahal. 8. Finish. Drop off at Delhi airport or your hotel. The tour can be customized around your needs and your schedule. If bookings are closed, please use the chat box or call/text us via +91 895 895 6564 for last minute arrangements. Haider is a wonderful guide, a very friendly, smiling young man. Haider was born in this city and as the hometown he showed it with all his heart. Haider A wonderful, young man who always made me happy with his smile and courtesy. Booqify is a network of independent professional tour guides in India. With us you will be sure to be guided by a passionate, knowledgeable and officially licensed tour guide. -$ 160 per tour, maximum 5 persons. -Private tour with an English speaking private guide exclusive for you and separate driver. -All tour guides are officially licensed by India’s Department of Tourism. -Entrance fees, drinks and meals. -We request a down payment of $30, the rest you pay to the guide in cash. -Modest dress (no shorts or sleeveless shirts) and head covering are required for visiting holy sites. -Cancellation Policy: If you cancel at least 10 days in advance of the scheduled departure, there is 100% refund minus transaction costs. If you cancel between 4 and 10 days in advance of the scheduled departure, there is a 50% refund. If you cancel within 3 days of the scheduled departure, there is no refund.